I LOVE THIS BOOK!! I want to read it again already. I definitely agree with everything you said! I did not know that you finished this!!!!!! I love that you enjoyed it to so much. We have much to discuss so we need to set up a chat in the next few weeks. I can't wait to talk things that are spoilery with you. Also, I agree completely about her family and her relationship with Noah. Michelle has a way of writing that makes you have to read it as quickly as possible. I enjoyed the first in this series but haven't read this one yet (I know it's not out yet...). Love that the family remains the same strong group. They were my favorite part, I think. Yay! 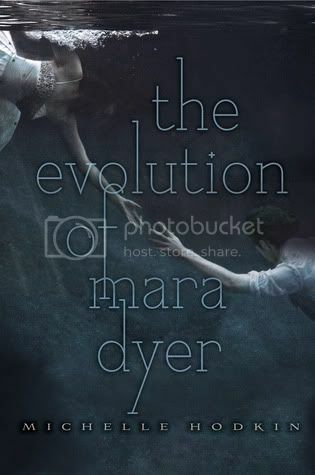 A review for The Evolution of Mara Dyer! This book made me really not want to put it down and when I got to the end it was so realistic it was unbelievable. I can't wait for the next one to come out in October!